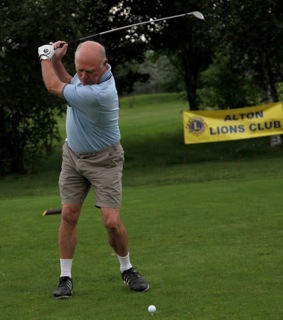 The 5th Annual Alton Lions Charity Golf Day proved to be another resounding success for the nineteen local teams who took part and helped the Lions achieve their target of raising £1500. The funds, which are donated to Alton REHAB, the cardiac rehabilitation centre that provides such tremendous support to our local community, will be used to obtain new and specialised equipment to assist people recover from cardiac difficulties. This year’s event was sponsored by Alton based Accountancy Firm Sheen-Stickland and was held at the Test Valley Golf Club in Overton. As was common with just about every sporting event this year all who took part enjoyed an ‘almost’ dry day with only those held up by “slow play” getting caught in the traditional shower. 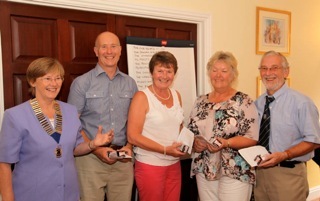 Prizes were presented by Alton Lions President Sarah O’Donoghue and awarded to winning team ‘The Voyagers’, (with the Vice Squad a very close runner up), the winning lady Liz Petheram, and the winning man Ted Snelling. 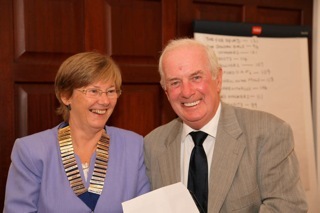 There were also prizes for the nearest the pin won by John Smith and Julia Pebert and for the longest drive to Adam Neller and Di Baycroft. 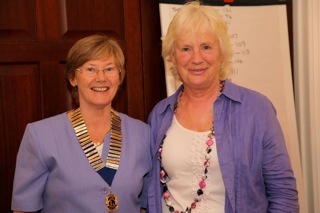 This year’s event raised £1500 for REHAB and will be used to help pay for a new rowing machine and other equipment designed to help re-build strength and confidence of the members of the rehabilitation centre. 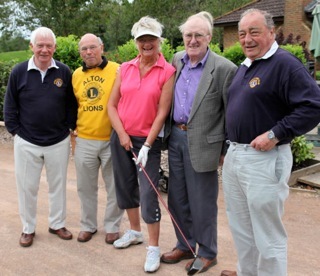 Lion President Sarah thanked the Test Valley Golf Club for use of all their facilities and support for the event, sponsor Sheen –Stickland whose support helped to make the day possible and to all others who helped to make the day another great success for Alton Lions and REHAB.